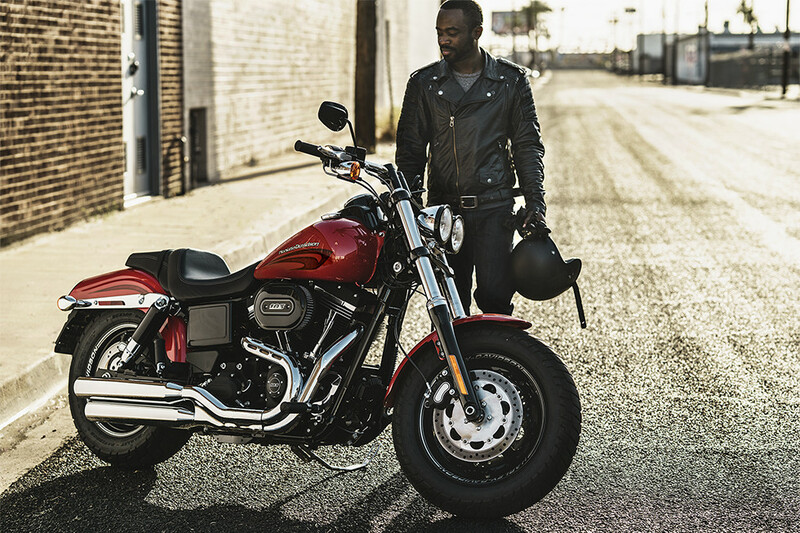 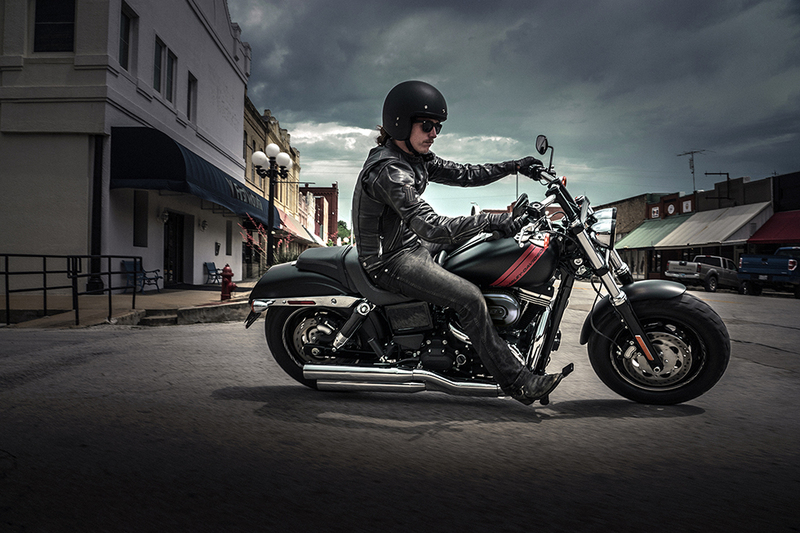 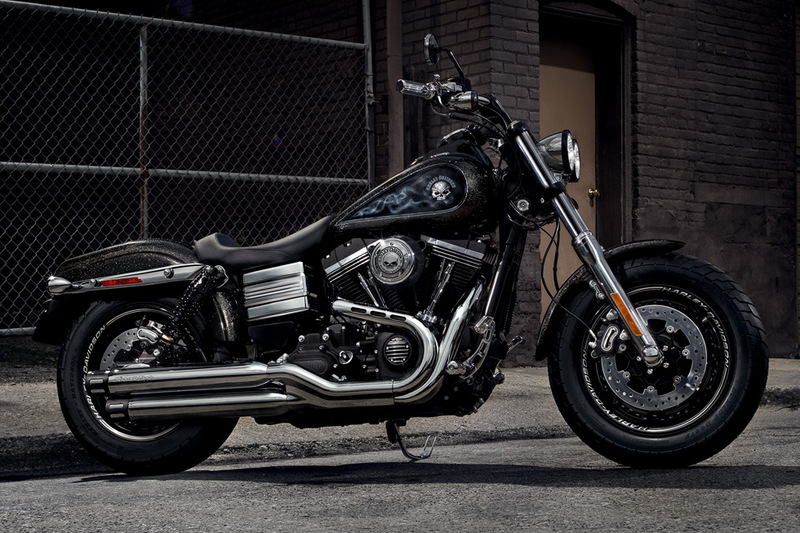 The 2017 Harley-Davidson® Fat Bob® is an oversized member of the Harley-Davidson® Dyna lineup. 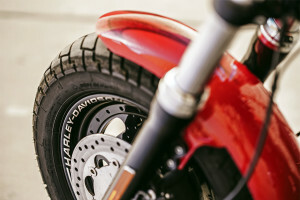 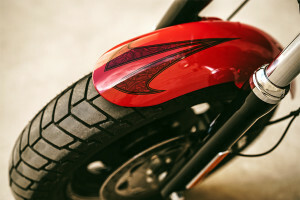 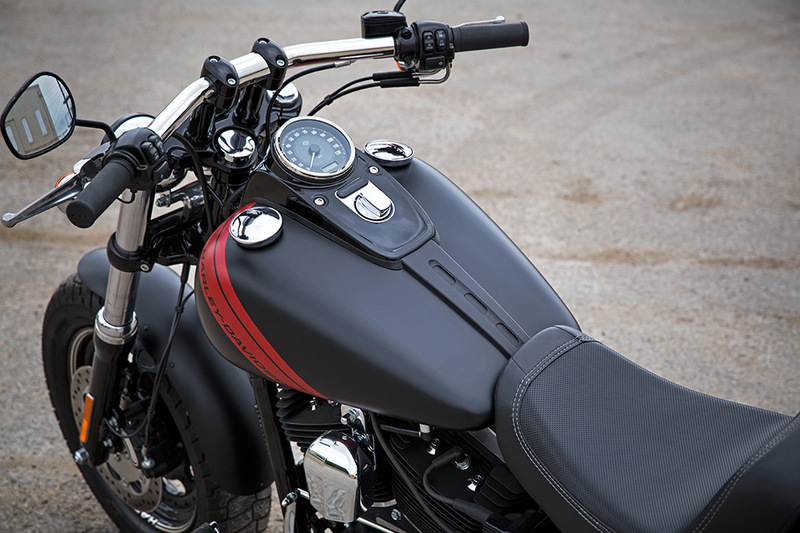 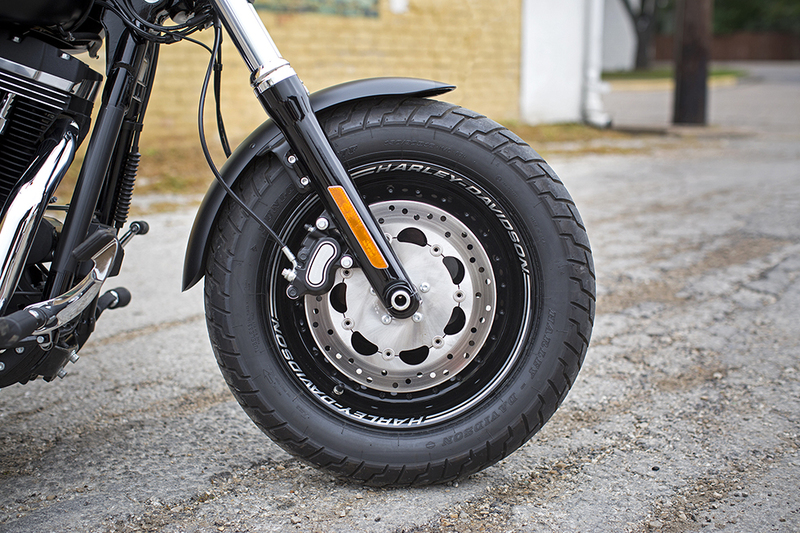 With wide tires, classic bobber style, and custom paint and finishes, the Fat Bob® comes with an outsized personality and performance to match. 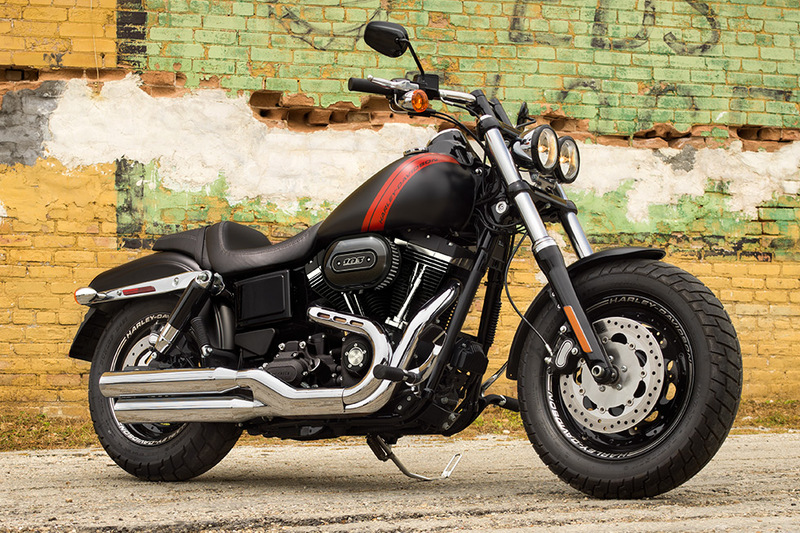 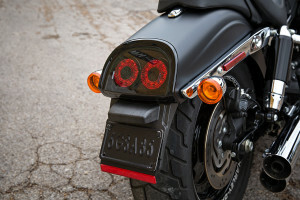 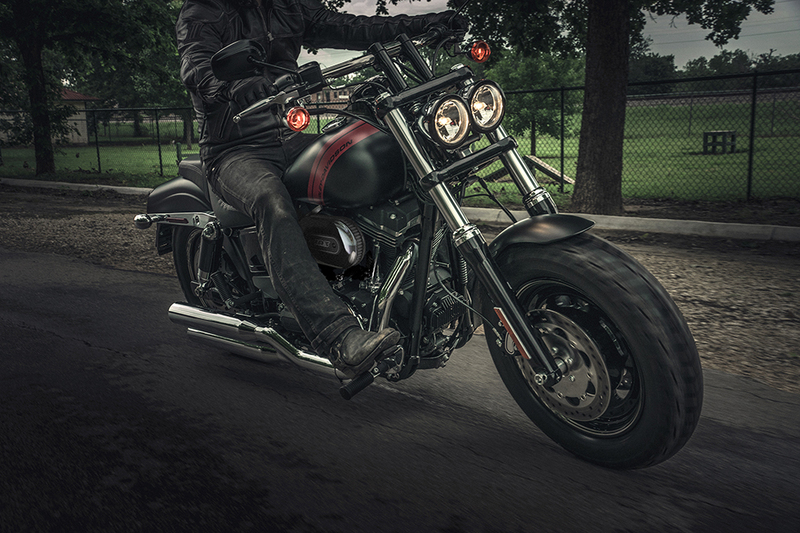 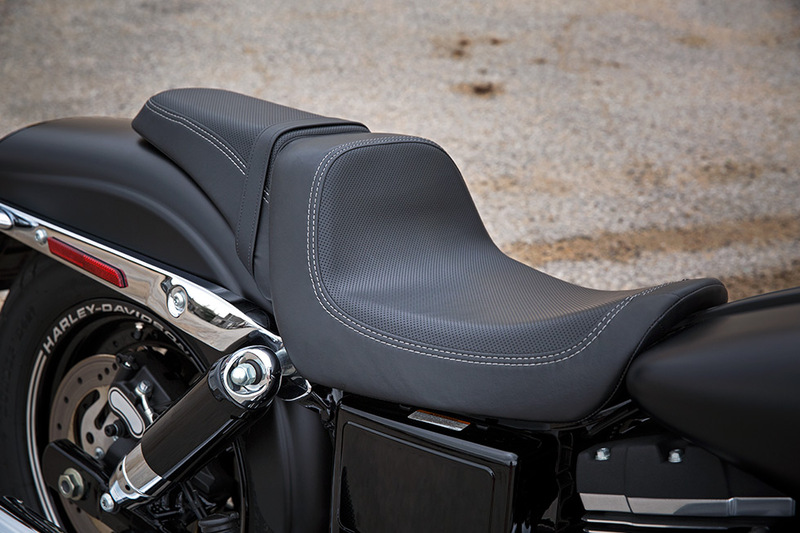 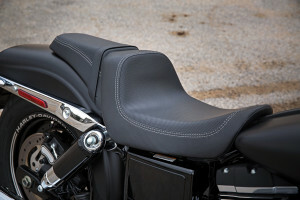 Find out more about the newest Fat Bob® here at Rawhide Harley-Davidson®, your dealership for Overland Park and Lenexa, Kansas. Blacked Out Rear Shocks: High-performance, coil-over rear shocks provide plenty of comfort over rough roads as well as predictable damping which allows for confident handling. 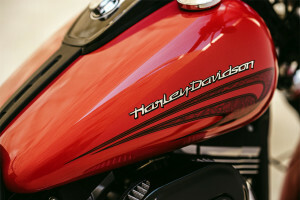 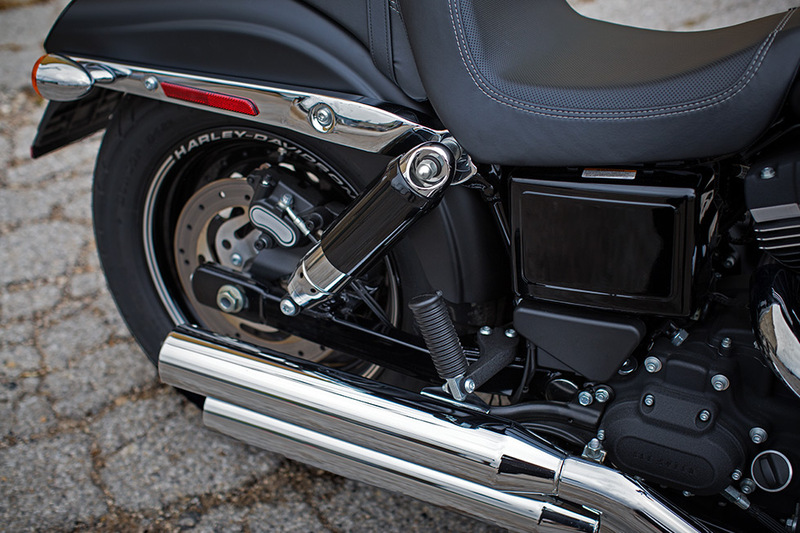 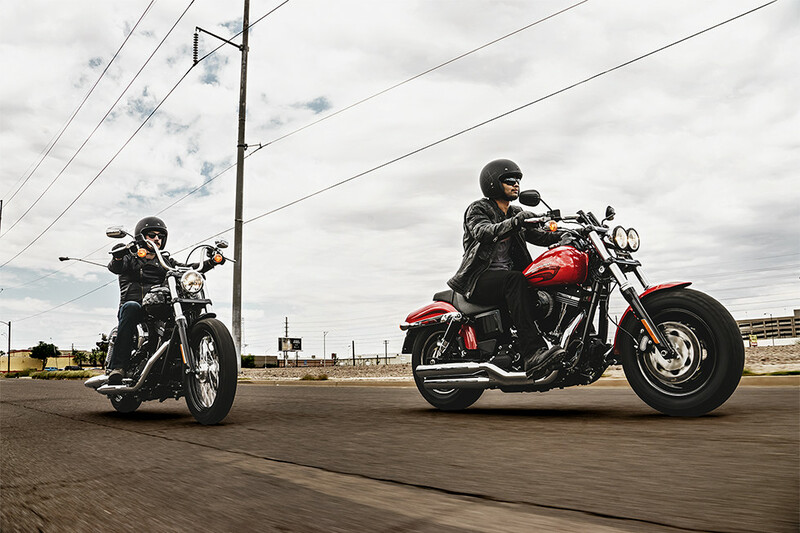 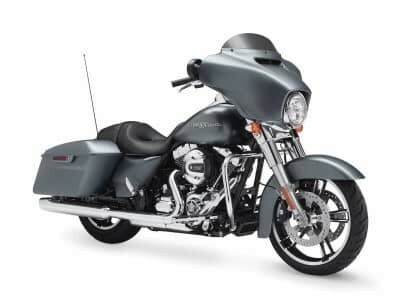 The Fat Bob® features a powerful High Output Twin Cam 103™ V-Twin engine that benefits from over a century of engine expertise and development.